JumboTrons are a great way for sports fans to have a moment in the spotlight -- but game attendants could not get enough of one little fan in particular. 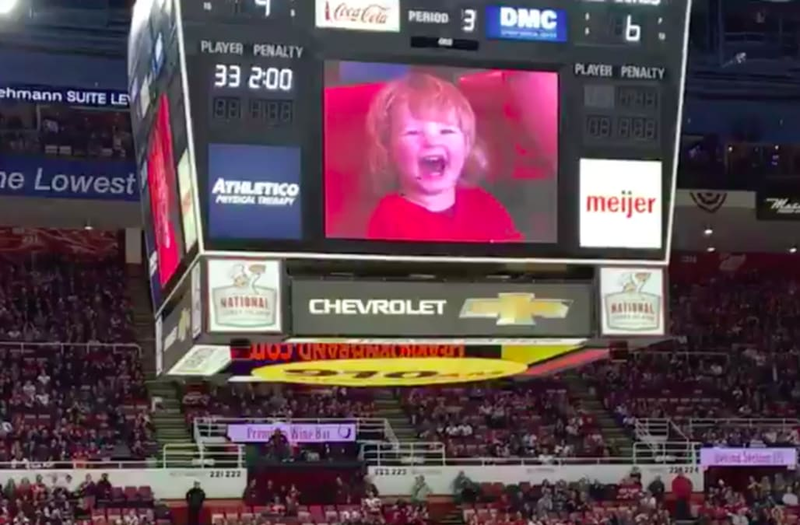 On Saturday night, a 2-year-old named Mason stole the show at a Red Wings ice hockey game. Once Mason appeared on the JumboTron, the audience could not get enough. They would boo when the camera panned to other fans and cheered when he returned. The crowd clearly loved Mason -- and they're not the only ones. The video of the cute toddler went viral, getting thousands of likes and retweets. Hopefully this won't be the last the public sees of Mason ... but given the beloved reaction, it's safe to assume it won't be.